Maryland Pink and Green: No pinching, please! On Wednesday, I'll be wearing my green (and maybe a little pink!) to keep away the pinchers. You know the ones, the people who say that you'll get pinched for not wearing green on St. Patrick's Day. 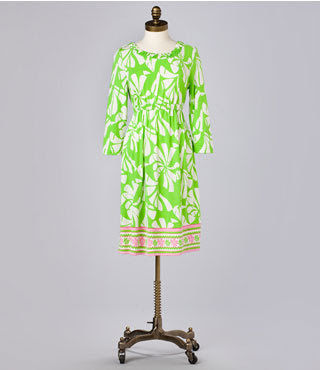 Goldie dress from Lilly Pulitzer keeps cold-weather peeps warm on St. Patrick's day. 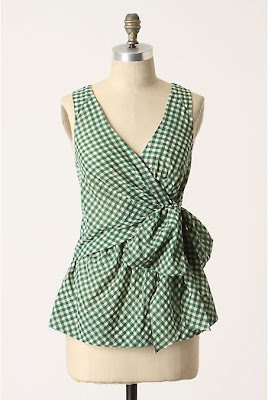 This swathed gingham blouse is stunning! You can find yours at Anthropologie. Here's a flashback to my youth. 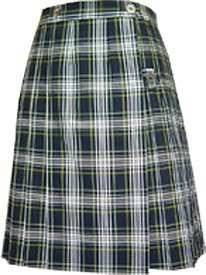 This kilt is my uniform kilt from school. The funny thing is, that I really like that kilt and love the plaid. We wore it with green knee socks that had to be pulled up to the knees. Mother Mary Paula always said, "No slouching socks, girls." I miss my penny loafers, too. 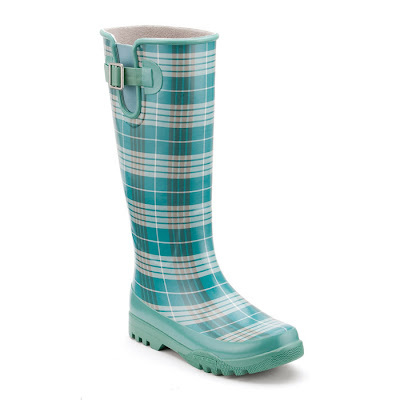 Don't be caught without your green on St. Patrick's Day on Wednesday! What are you planning to wear tomorrow? What beautiful green items! Wish I had that Lilly to wear!!! I need that Kate Spade coat - gorgeous! I love the Kate Spade coat! Fabulous! Love the blouse! I think I saw it in an orange color in the store. I love that Kate Spade jacket!